Conductor, pianist, and producer David Caddick has been the music director or supervisor for a number of Broadway musical productions, including Song & Dance (1985), Starlight Express (1987), Cats, The Phantom of the Opera, Miss Saigon (1991), Sunset Boulevard (1994), the Cameron Mackintosh revival of Oklahoma! (2002), and the currently running Mary Poppins (since 2006). He was also Executive Producer for the 2008 revival of South Pacific at Lincoln Center. Caddick was music director for the world premiere of Stephen Sondheim’s Bounce (2004), which toured but closed before reaching Broadway. 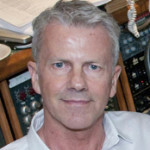 In London’s West End, Caddick first served as Associate Producer for Follies (1987), and went on to supervise Music Production for Phantom of the Opera and Starlight Express (1987). Subsequent London productions he either conducted or supervised were Miss Saigon, Sunset Boulevard, Oliver!, Martin Guerre, Evita, Fix, Oklahoma!, The Witches of Eastwick, and Mary Poppins. As a producer in 1990 Caddick won a Grammy for the complete symphonic recording of Les Misérables. In the next few years he produced Original Cast Albums for the 2001 London revival of My Fair Lady and many of the aforementioned West End musicals. He conducted for Barbra Streisand on her album Back to Broadway (1993), and for Sarah Brightman on The Andrew Lloyd Webber Collection (1998). After recording second albums with both singers, Essential Barbra Streisand (2002) and Encore (2001) respectively, he conducted several more Lloyd Webber collections. In 1996 Caddick conducted, supervised, and co-produced the soundtrack of the film Evita, starring Madonna. For TV, he was the Executive Producer for the Sondheim revue Putting It Together (2000). Producing records back in the United States, Caddick brought out the Original Cast Album of the 2006 revival of A Chorus Line, and in 2008 a comprehensive collection of Sondheim called Stephen Sondheim: The Story So Far. In 2009 the recording, produced by David Caddick, of the new revival of West Side Story won the 2009 Grammy for Best Musical Show Album. He is the co-producer, with David Lai, of the Original Cast Album of the 2010 revival of Promises, Promises.